TV COVERAGE: BTN - Wayne Larrivee and anyone but Tim Doyle (Greg Kelser) will call the action. LINE - Iowa is an 4.5 point underdog at home. Seriously. 4.5 points. I don't understand it either. It's Valentine's Day 2009. Iowa will look to get some love from its fans today (as of yesterday 1500 tickets remained). Hopefully, today Iowa's passes are straighter than an arrow, and some sweet shooting couldn't hurt either. 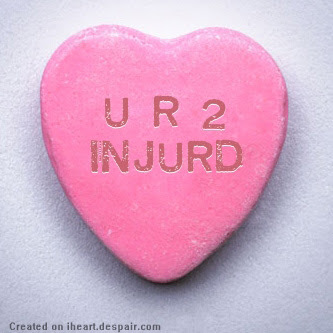 Candy Hearts. OK, enough of the Valentine's Day crap, no one cares about that "holiday" anyway. Iowa is going to go into this one without the services of starting PG, Jeff Peterson. And, as The Sporting News points out, Iowa hasn't been healthy since December (thanks crossoverdribble). The Hawkeyes only have 2 wins in the last 10 games, and haven't won back to back games in well over two months. 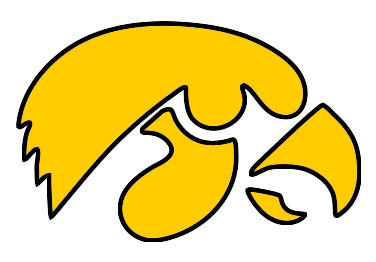 While youth and the physical strength of this team are legit reasons for the recent struggles, you can't discount how the injuries have just killed Iowa this year. Losing Tate was huge, losing Peterson could be worse... hopefully Tate can put some minutes in this afternoon. Iowa is 10-2 at home, while Purdue is 4-3. Iowa's only losses at home have come against Top 25 teams. Surprise, surprise, Purdue is a Top 25 team. Purdue has beaten Iowa four straight times, although most of them have been close battles (don't look back at this year's score, please). Additionally, Matt Painter is going for his 100 win as a college basketball head coach. Before the Peterson injury, I felt as if Iowa could hang with Purdue, maybe not necessarily win, but definitely hang with them and if the crowd was right they could upset PU. Playing in Carver on a Saturday only made me feel better about Iowa's chances. But now with their starting PG out and the distinct possiblity of Robbie Hummel returning, Iowa will be up against it. So it looks as if it will be Davis, Bawinkel, Kelly, Gatens, and Cole in the starting lineup (note: 4 of these players were coming off the bench in the beginning of the year). Last time out, David Palmer went nuts against the Boilermakers, but don't expect that to happen again. Here's hoping for a clean game with some decent officiating for once this year (don't hold your breath)... and it would be nice if Iowa didn't lose another player to injury. It also would be nice to see Jake Kelly completely absorb the role of PG and just dominate today, but that is wishful thinking against a very solid defense backcourt of Purdue. KenPom gives Iowa a 26% chance to win this game. Without JPete, Iowa is going to struggle and struggle mightily. TODAY'S PROJECTED HAWKEYE KILLER: JaJuan Johnson - Iowa has no one to matchup with his size and versatility even if a 60% Tate is playing.